Hello friends! 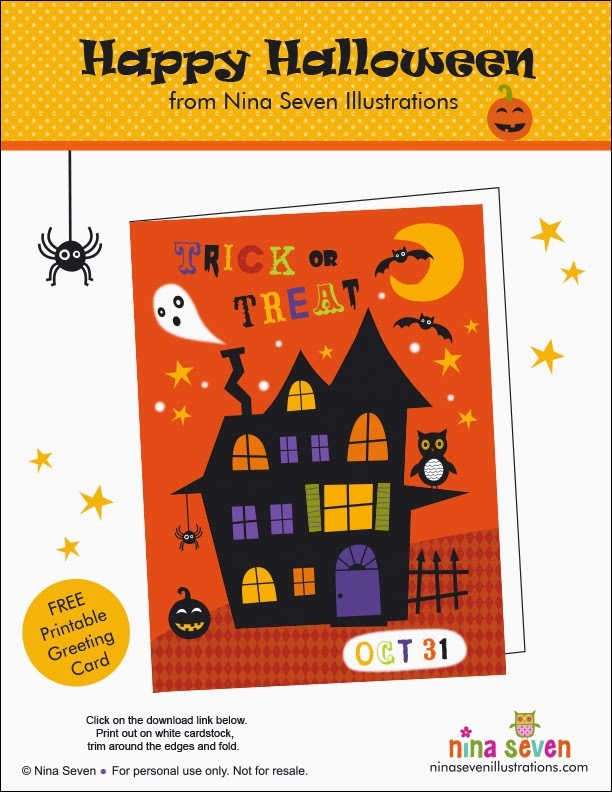 We continue our Halloween FREE downloads this week, with a fun greeting card, designed by Nina. The download is available by clicking on the link below the image shown here. It will open up with a new image that just shows the card, in a printable format. Just save it and print it out on some nice white cardstock or heavy bright white printer paper. Trim it, then fold. So easy! We hope you are all enjoying our Halloween freebies! All of us at We Love to Illustrate, really love designing for Halloween! Trick or treat? We choose TREAT!